As the Hillary Clinton campaign slogged toward victory in the long primary campaign against Sen. Bernie Sanders, word came from WikiLeaks that it had scored a trove of hacked emails to and from the Democratic National Committee. Among other things, they proved that DNC chair Debbie Wasserman Schultz and Clinton campaign chair John Podesta, along with their organizations, had been working hand-in-glove to skew the primaries in Clinton’s favor. The day before the party’s convention opened in Philadelphia on July 24, Wasserman-Schultz had to resign her post or face a floor revolt. Sanders delegates were so angry at what they were learning from WikiLeaks about the sabotage of their candidate that hundreds walked out on the second day of the convention, tossing away their delegate credentials over the security fence and vowing never to support Clinton. In short order, the DNC and the Obama administration-led intelligence establishment began claiming, with no hard evidence, that the source of WikiLeaks’ explosive emails was “the Russians.” While denied by WikiLeaks, it was a charge that Clinton made ad nauseum on the campaign trail and in her three televised debates with Trump, using it as an all-purpose excuse for tough questions about her self-dealing as secretary of State, her lucrative off-the-record speeches to Wall Street bankers, or the DNC’s thumb on the scale in the primaries. Mainstream news organizations were quick to adopt this “Russia did it” trope, which despite the lack of proof has only grown more widely accepted since Trump’s stunning election-night victory. 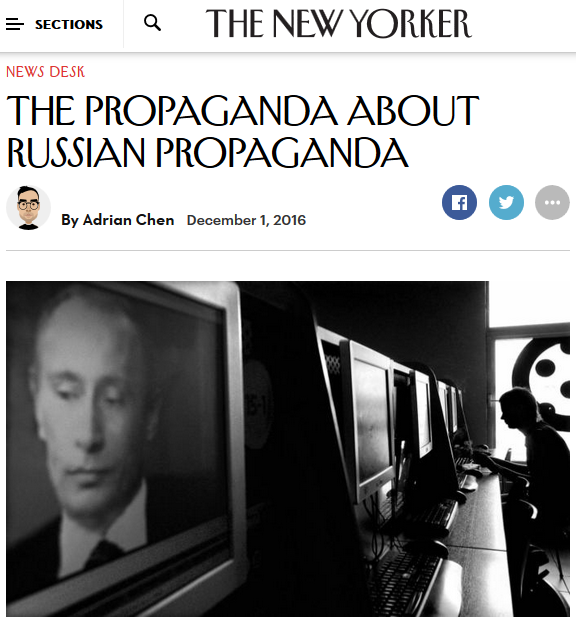 The Washington Post (11/24/16) says that 200 websites on a list produced by a shadowy group are “routine peddlers of Russian propaganda”—but editors later insist that they didn’t print the list themselves. The Post’s story was based on a long list of online news sites purported to be either working directly for Moscow or else “useful idiots” unwittingly spreading Russian propaganda. Incredibly, the list included respected sites like Polk Award-winner Robert Parry’sConsortium News, former LA journalist Robert Sheer’sTruthdig, the news aggregator site Truth-Out.org and the highly regarded financial news site Naked Capitalism. These numbers, not verified by PropOrNot, sound wildly exaggerated. After all, there are only 250 million adult Americans, probably less than half of whom use Facebook. Meanwhile, some of the sites on that list of propaganda peddlers would be pleased to have daily hits reach five figures. increasingly sophisticated propaganda machinery—including thousands of botnets, teams of paid human “trolls,” and networks of websites and social-media accounts—were echoed and amplified by right-wing sites across the internet as they portrayed Clinton as a criminal hiding potentially fatal health problems and preparing to hand control of the nation to a shadowy cabal of global financiers. And certainly Clinton herself, with her campaign calls for establishment of a US-enforced no-fly zone over Syria and for more US troops and offensive armaments along Russia’s borders, was doing quite well without Russian help ramping up voters’ fears of a new Cold War or worse. The way that this propaganda apparatus supported Trump was equivalent to some massive amount of a media buy…. It was like Russia was running a super PAC for Trump’s campaign…. It worked. “Executive director” here is in quotes because, in a staggering lapse of journalistic ethics and standards, the Post allowed PropOrNot’s entire staff to remain anonymous. Nor did Post editors require Timberg to afford any of the sites PropOrNot maligned as Russian propaganda tools a chance to respond—a basic requirement of responsible journalism. The Washington Post‘s editor’s note. did not name any of the sites [on PropOrNot’s blacklist], does not itself vouch for the validity of PropOrNot’s findings regarding any individual media outlet, nor did the article purport to do so. Since publication of the Post’s story, PropOrNot has removed some of those sites from its list. Of course, the damage was already done, as the original article achieved widespread circulation via the Post’s wire service; it would be up to all those news organizations that bought and ran the story, or reported their own versions of it, to make any correction. In any event, the Post’s story was really all about PropOrNot’s list and, in contrast to FPRI, the organization remains fully opaque. What is PropOrNot trying to hide? One possibility: The Pentagon. The Defense Department is, after all, spending billions of dollars a year on information warfare, and has, under Defense Secretary Ashton Carter, been promoting the idea of Russia as an existential threat to the US. One of the sites Harding “analyzed” for PropOrNot and labeled as a major purveyor of Russian propaganda was an obscure site called YourNewsWire.com, which features some news about the US and Russia, as well as conspiracy theories about vaccine links to autism and proof of an afterlife. as a purveyor of Russian propaganda. It was later removed from the list. The other was a remarkably shoddy September 2 analysisof an article inCounterPunch, in which Harding mocked one the contributor whose self-identification as a socialist contradicted, in Harding’s view, CounterPunch’s claim be the “voice of the authentic American left” — without mentioning or perhaps noticing that the author’s bio also mentioned he was a Canadian. 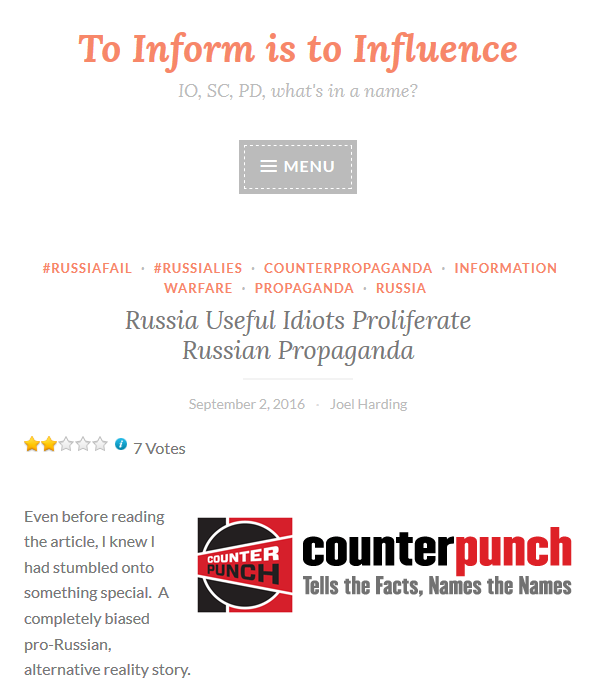 When CounterPunch editor Joshua Frank wrote to PropOrNot complain about his site’s being labeled as Russian propaganda (he attached a story he had written criticizing Russia’s role in Syria), PropOrNot said they would remove CounterPunch from their list. What makes him appear to be more closely allied with or part of PropOrNot’s anonymous team than he admits, however, is a bylined article that appeared on his own site on November 18, six days before PropOrNot’s public debut in the Washington Post. Under the prescient headline “Russian Propaganda Sites: Is It Propaganda or Not?,” Harding offered a preview of the as yet unannounced PropOrNot.com’s “List,” itself dated November 9. This preview list contained 178 names, a bit shorter than the final list’s 200. While claiming no connection to PropOrNot, Harding said via email, without elaborating, that “some of its people may have been students of mine.” Harding said during this email conversation that he was on his way to the commissary at the US Army’s Ft. Belvoir, a suburban DC base that’s home to INSCOM, the Army’s “information operations” command, and ARCYBER, its cyber command post. Could PropOrNot possibly be linked to a US military psychological warfare program? Hard to say, harder to prove. But it’s a question worth exploring. Adrian Chen, a staff writer at the New Yorker (12/1/16), offered interesting insight into the genesis of Timberg’s Washington Post article. He said he had received an anonymous email from “The PropOrNot team” in late October saying that as a “newly-formed independent team of computer scientists, statisticians, national security professionals, journalists and political activists, dedicated to identifying propaganda—particularly Russian propaganda targeting a US audience,” they had developed a list of 200 such news sites. They said that they had brought it to the attention of Sen. Ron Wyden (D-Ore.), who had recommended they contact Chen. Chen said he was wary of dealing with an unidentified group, and so claimed he was “too busy.” They asked if he would connect them with “folks at the NYTimes, WaPo, WSJ and anyone else who you think would be interested.” He passed. The Post’s Timberg, however, took the bait, and after his piece appeared, the Post promoted it aggressively. Between the Washington Post’s wire service and AP, it spread virally to many other newsrooms and papers across the country, running as the lead story on November 25 in the Philadelphia Inquirer and prominently, too, at USA Today, and getting mentions on CBS,PBS, ABC and other news programs. By November 30, PropOrNot, saying it had been challenged by many journalists, but still remaining anonymous, issued a press release announcing that it was “reviewing” its methodology. The group said that it would stop listing news sites that were open about who they were and that were running actual news. They also said they would stop using techies to evaluate whether news sites were propaganda organs or not. 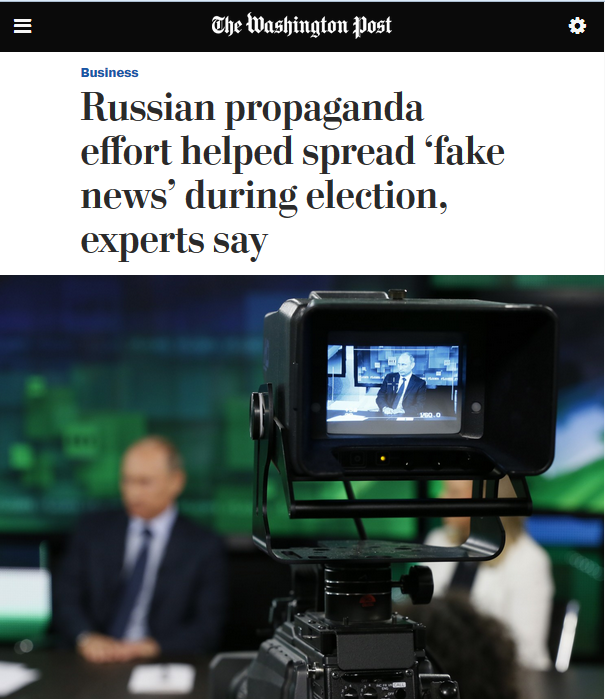 The irony is that in purporting to expose Russian propaganda manipulation of the media, the Washington Post has provided a graphic demonstration of how the whole propaganda thing works. 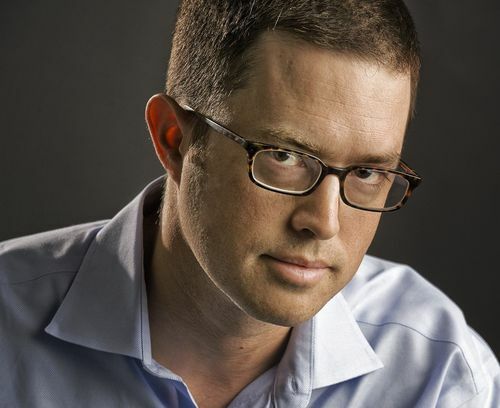 Dave Lindorff is the author of Killing Time (Common Courage Press, 2003), an investigative book about the Mumia Abu-Jamal case. He is a founding member of ThisCantBeHappening!, an independent online alternative newspaper. Messages can be sent to the Washington Post at [email protected], or via Twitter @washingtonpost. Please remember that respectful communication is the most effective.